Inspired by a deep passion for wine, an Italian heritage, and a desire for a land somewhat wilder than his home in southern France, Robert V. Camuto set out to explore Sicily’s emerging wine scene. What he discovered during more than a year of traveling the region, however, was far more than a fascinating wine frontier. Chronicling his journey through Palermo to Marsala, and across the rugged interior of Sicily to the heights of Mount Etna, Camuto captures the personalities and flavors and the traditions and natural riches that have made Italy’s largest and oldest wine region the world traveler’s newest discovery. In the island’s vastly different wines he finds an expression of humanity and nature―and the space where the two merge into something more. Here, amid the wild landscapes, lavish markets, dramatic religious rituals, deliciously contrasting flavors, and astonishing natural warmth of its people, Camuto portrays Sicily at a shining moment in history. He takes readers into the anti-Mafia movement growing in the former mob vineyards around infamous Corleone; tells the stories of some of the island’s most prominent landowning families; and introduces us to film and music celebrities and other foreigners drawn to Sicily’s vineyards. 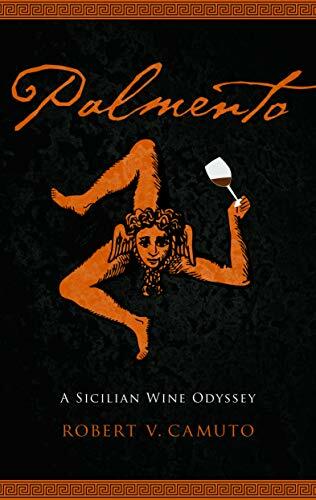 His book takes wine as a powerful metaphor for the independent identity of this mythic land, which has thrown off its legacies of violence, corruption, and poverty to emerge, finally free, with its great soul intact. Watch the Palmento book trailer on YouTube. "You''d better be ready to open a good bottle of wine and prepare some appetizers before you start reading--the author''s tantalizing writing will drive you to snacking." --Tracey, Powell''s Books--Tracey "Powell's Books "